Undefeated heavyweight sensation Hughie Fury will make the first defence of his WBO Intercontinental Championship against Mexico’s Andy Ruiz Jr on the undercard of Tyson Fury’s eagerly-anticipated rematch with Wladimir Klitschko at the Manchester Arena on Saturday 29th October, live and exclusive on BoxNation. Fury, 20-0 10 KO’s, has ripped through the heavyweight division, claiming his first professional title in the WBO Intercontinental against Fred Kassi at London’s Copper Box Arena back in April. Should he defeat the unbeaten Ruiz Jr, Fury will move into the number one mandatory position for the WBO World Heavyweight title – held by his cousin Tyson. California resident Ruiz Jr holds an explosive record of 28 wins from 28 fights, with 19 coming via devastating knockout. The former WBO Intercontinental belt holder enjoys a No.3 ranking with the WBO and is sure to provide Fury with his toughest test to date. Peter Fury, father and trainer of Hughie, said: “Hughie is a true fighting man who loves his sport. He trains hard & will need to be as prepared as possible as Ruiz Jr is easily one of the best heavyweights in the world right now. “Hughie is ready to take this challenge and this once again proves we only want the best fights for him. He wants to earn his position, he doesn’t want to fight cherry-picked opposition like other heavyweights. With the heavyweight division in a new era after the Klitschko brother’s long dominance, Fury is in a perfect position to capitalise. Promoter Frank Warren is confident his heavyweight prodigy has what it takes to make it to the very top of the division. “Hughie is a fighting man; he’s done things the hard way. 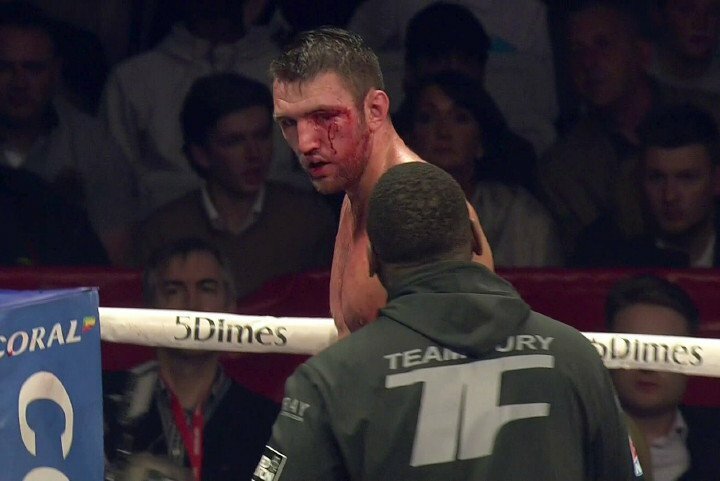 20 fights in three years is a phenomenal record for a heavyweight fighter. We know he’s got gas and he’s been tested against some awkward opponents. The division is certainly opening up and I can see Hughie being a dominant figure for years to come.